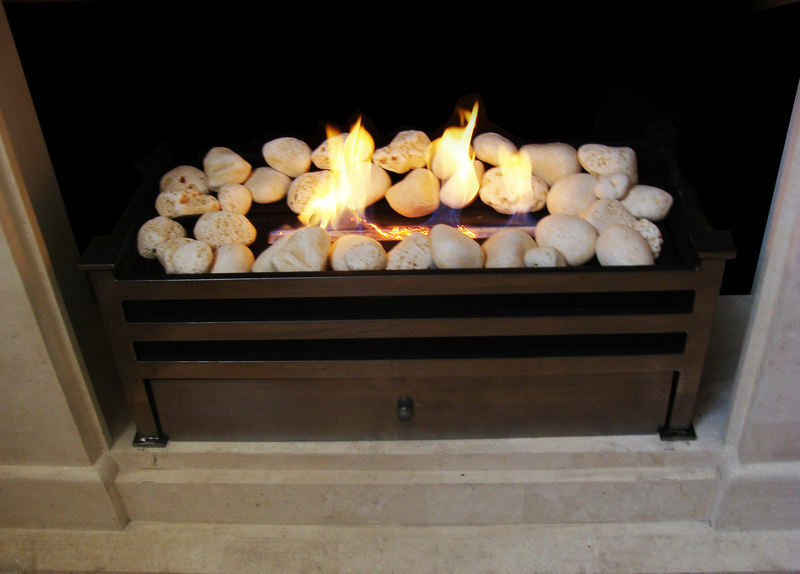 This fire includes, a large bio ethanol burner, the beautiful Kensington basket. (black or polished silver). Each basket is hand made in the UK. 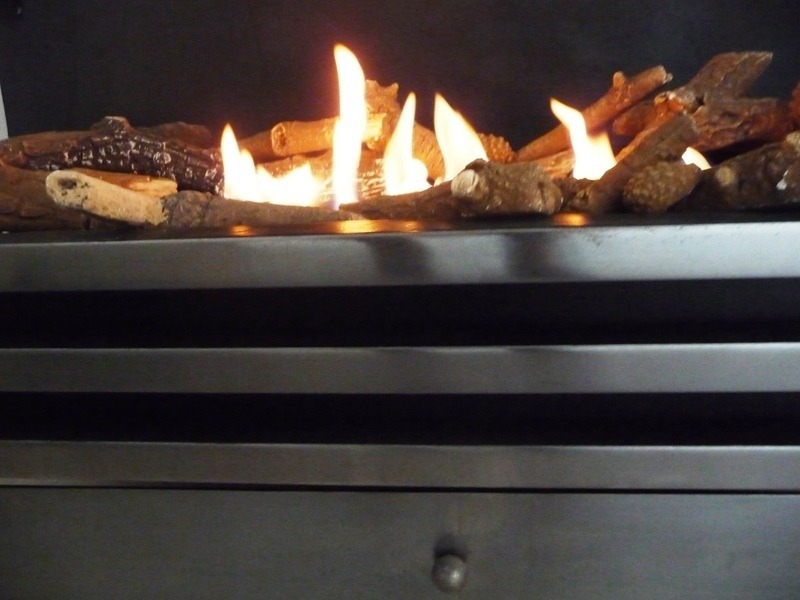 The fire can be dressed with glass wind shields or a log set. Price reduced from £1075 to £839.99! 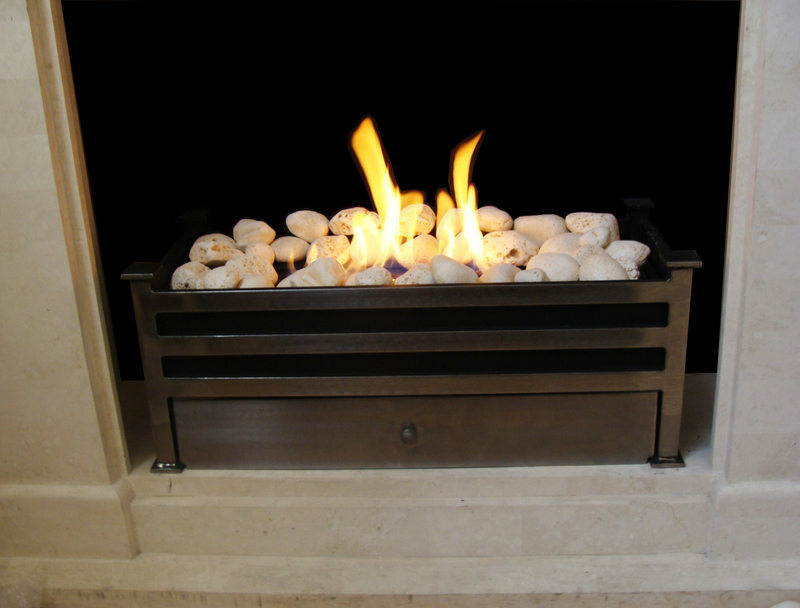 The Kensington is a bio ethanol fire baskets we do which is capable of accepting our large bio ethanol burner. The burner comes with decorative glass windshields. The glass can also be replaced with a silver birch ceramic log set. Each basket is hand made in the UK. Price shown excludes delivery. 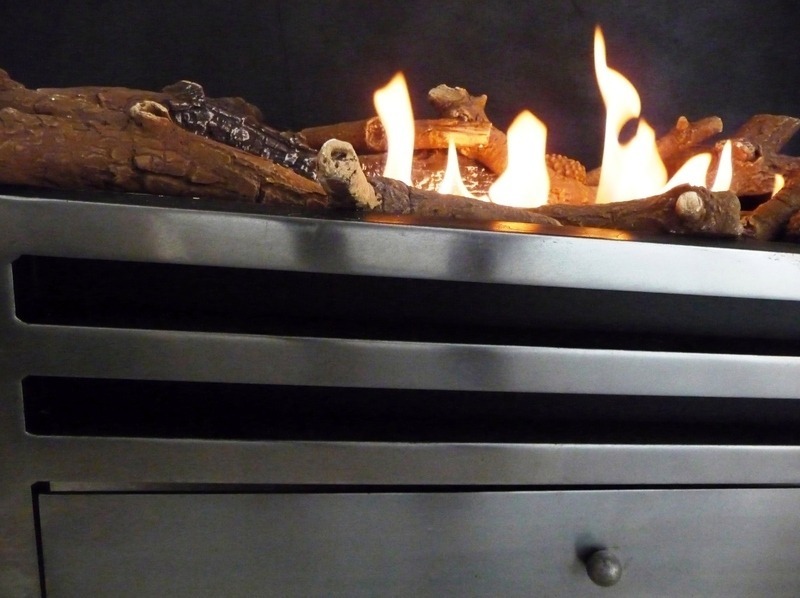 The fire uses our unique ethanol burner with its patented ceramic core. 3) The flame height is controlledby the consistent release rate of the porous block. 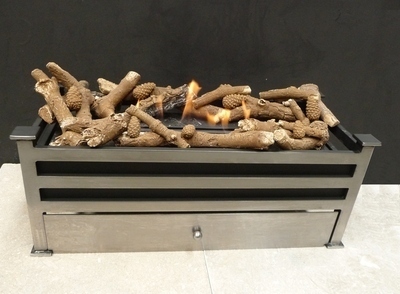 Our bio ethanol contemporary fires, burn bio ethanol producing no smell or smoke unlike a gel fire which burns gel fuel. Gel fires do smell and leave behind a residue in the combustion chamber. 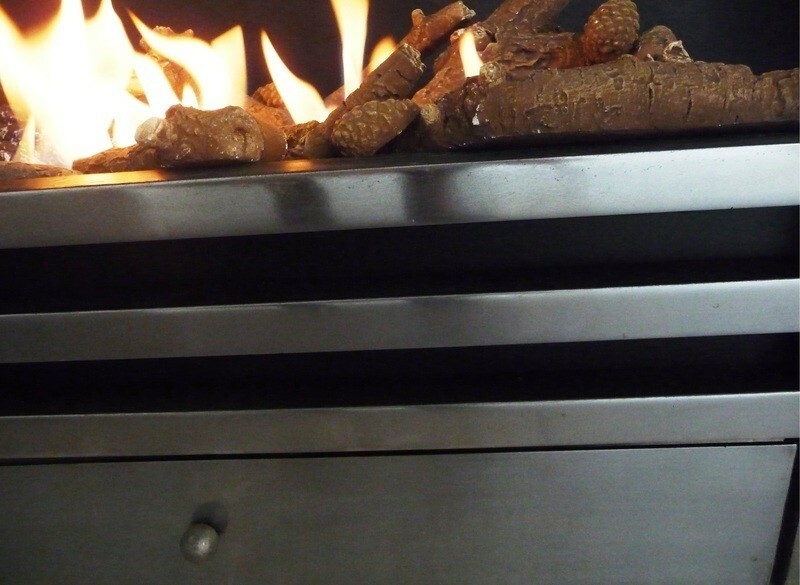 The benefit of bio ethanol over gel fuel is that it allows you to sit around the fire without the usual inconvenience of smoke, a complaint of wood burning stoves. The fire is lit with an extendable lighter and extinguished using the sliding mechanism so you don't have to stick your hands in the flames. 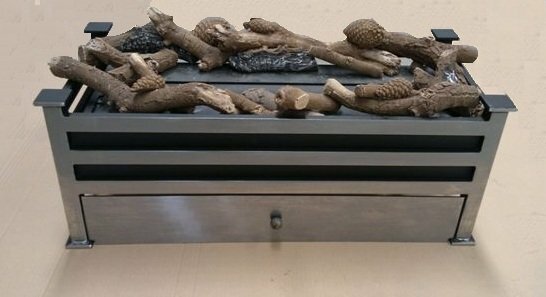 This fire basket can be dressed with ceramic logs, pebbles or our unique Black Diamond material.